No matter where you are this unit is right there with you. 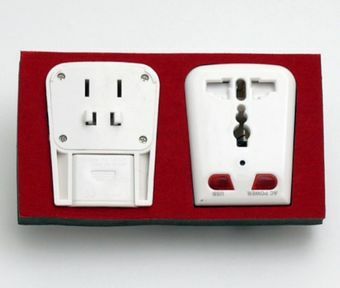 It supports many common plugs in many countries such as US, AUS, UK, and EU plugs. Any sensible traveller should have a power converter and this one has a built in motion controlled camera so you can keep an eye on your hotel room while you are out. This unassuming "ac adapter" is right at home in any room where you need a security presence. It accommodates SD cards up to 32 GB, allowing it to safely store hours of High Quality footage. It does not transmit, so there's no risk of someone stealing your signal. This adapter also has the added ability to directly charge 5v devices such as cell phones with the built in USB power connection.